Shopping for furniture doesn’t have to be difficult if you know where to look for the best deals and great prices. Whether you need a new couch or some new décor for your apartment, West Virginia’s awesome furniture stores will surely hook you up. Here are the 10 best in the state! Need an upgrade to your furniture but don’t have a lot to spend? Visit Ashley HomeStore for a great selection of furniture for every room in your house. Offering home furnishing from the leading manufacturers all over the world, Ashley’s also has mattresses and bedding, rugs for any size room, lighting, and other quality products for your home. Locally owned and operated, Ashley’s is open every day for your convenient shopping. The thing that makes Charleston Furniture Direct in Nitro, West Virginia different from other furniture stores is the price. The simple warehouse-style store saves you money by not having to mark up their furniture to pay for high-priced buildings and locations. Open Thursday, Friday, Saturday, and Sunday, you’ll have friendly customer service and quality home furnishings at a fraction of the cost of other places. You’ll rack up the savings at this no-frills below-retail cost store. You can call ahead to see if they have the item you want in stock, or schedule an appointment to speak with one of their friendly staff. You’ll get a super experience at the Big Sandy Superstore. Need one item for your home or a whole house full? It doesn’t matter at this furniture store. You’ll get the same great customer service and access to name brand furniture and items at prices you can afford. With even deeper savings on items with rebates and or instant savings that come directly from the manufacturer, Big Sandy Superstore has free shipping and in-store pickup. Appliances and electronics are in-stock all the time, too, which means you can get everything you need under the same roof. The recipient of the 2017 “Retail Excellence Award” and named as one of the Top 100 U.S. Furniture Stores, Big Sandy Superstore is open every day and you can order online for added convenience. Do you avoid sales people when you shop for furniture? You won’t have to hide behind anything at Star Furniture. Bring your shopping out in the open at this locally operated that’s been in business since 1907. You can expect you’re the best in customer service, and be assured that you’re in good hands. From the well-lighted parking lot to the on premise café where you can think about what you want to purchase, you’ll have a large selection of the best furniture around. You’ll also get five-star service when it comes to style and value because you’ll see everything in one place. You can select the fabric and finishes from the samples in house, and get free financing if needed. With guaranteed low prices, if you find the same item elsewhere, they’ll beat the matched price by 10 percent. Kammer Furniture in Bluefield, West Virginia has been operated by the same family since 1932. You know they’re doing something right to be in business that long. You’ll find a great selection of everything you need for your home, including recognized brands like Kincaid, Whirlpool, Broyhill, Craftmaster, Amana for furniture, appliances, mattresses, and more for the inside and outside of your home. They have great deals on bookcases, chairs, desks, cabinets, and other items for your office, too. If you need financing, they offer several in-store plans with 0% down, flexible payments, and layaway. Special promotions, free delivery, and manufacture’s discounts are also available. Nationally recognized but locally owned and operated, American Freight has two convenient locations in Huntington and St. Albans, West Virginia where you get more for your money on furniture purchases. They have so many sale items they can’t even advertise them all. Come to showroom and see for yourself. Prices are so good and can get instant approval with low payments so you don’t even need credit. If you’re looking to furniture a whole room, there’s savings on package deals. Just call or talk to one of the sales people when you stop in. When Home Furniture opened its doors in Beckley, West Virginia in 1974, they provided the lowest prices and best customer service around. Nothing has changed since then, so you can expect great customer service on all your family’s furniture needs. The reviews on social media say that there are some of the nicest sales people in the world here who do just about anything for a satisfied customer. You can purchase your furniture and take it home the same day in most cases. Well-made furniture and highly recommended. If you’re looking for something out of the ordinary in selection and service for home furnishings, you need to stop at Chuck’s Furniture in Morgantown, West Virginia. Family owned and operated, this out-of-the-ordinary store has one-of-a-kind furniture at affordable prices. 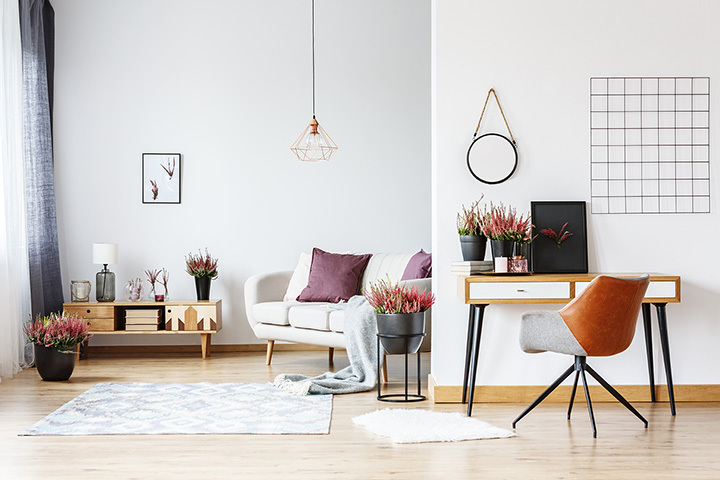 You’ll have plenty of examples of how to arrange your living room, dining room, bedroom, entertainment area, or office. They also have a special area dedicated to items for the nursery and bedrooms for toddlers to teenagers. Elkins, West Virginia has been home to Sweco Furniture since more than 30 years. Known for excellent customer service and furniture that’s made well by nationally known manufacturers, Sweco has a habit of greeting people as they come in and making customer feel at home. Whether you want to rent to own or purchase outright, the friendly customer service folks will help you determine what best meets your needs, then assist in the transaction that takes all the pressure off your shoulders and your wallet. They offer delivery, set-up and installation of many items, and serve a large area. High quality home furnishings at rock bottom prices. That’s what you’ll find at Pugh Furniture Warehouse in Charleston, West Virginia. Open every day, you can see and select from Amish-made furniture, living room, dining room, bedroom, office and special needs furnishing that will enhance the look and functionality of where you live, work, and play. Price matching is offered, and there are coupons and special offers listed on their website.